There are many choices in style, size and price when deciding to buy a home in Incline Village, NV. The location can also be an important factor. Some homes are close to the lake, have lake views, shopping or large lots. Real estate in Incline Village, NV, can be purchased as an investment, second home or retirement home. Whatever kind of home you decide you would like, you will find that Incline Village is a great place buy a home. The lifestyle is terrific. There are many styles of condos and townhomes available when choosing real estate in Incline Village, NV, such as lakefront condos, small cabin style units and large freestanding condos. There is a wide range of prices too, depending on how much you want to invest. Buying a condo in Incline Village can be an attractive alternative from owning a house for ease of maintenance allowing you time to enjoy living in beautiful Lake Tahoe. Contact me with any questions that you might have regarding the real estate market in Incline Village. 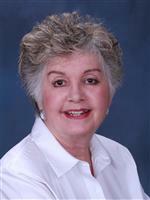 Put my experience to work to help you buy a home in Incline Village, NV. I can be reached at (775) 233-7453.